The Eastside Theatre Company's production of "Peter Pan" is a unique blend of versions of the iconic story told over the past century. Script writer and assistant director Josh Johnson used the book "Peter and Wendy" as his narrative guide, incorporated elements from the movies "Peter Pan" and "Captain Hook" and mixed in modern language so the show is palatable for 21st century listeners. But capturing the book's essence was his primary objective. "There was a lot of different changes that were in the movie, and not a lot of people know the true essence of the story of Peter Pan," Johnson said. "That's a big reason why I wrote it, trying to stay as true to the original story as possible." The Eastside Theatre Company will perform "Peter Pan" eight times from Dec. 1-Dec. 10 at The Chapel, 27132 S.E. Stark St., Troudale. 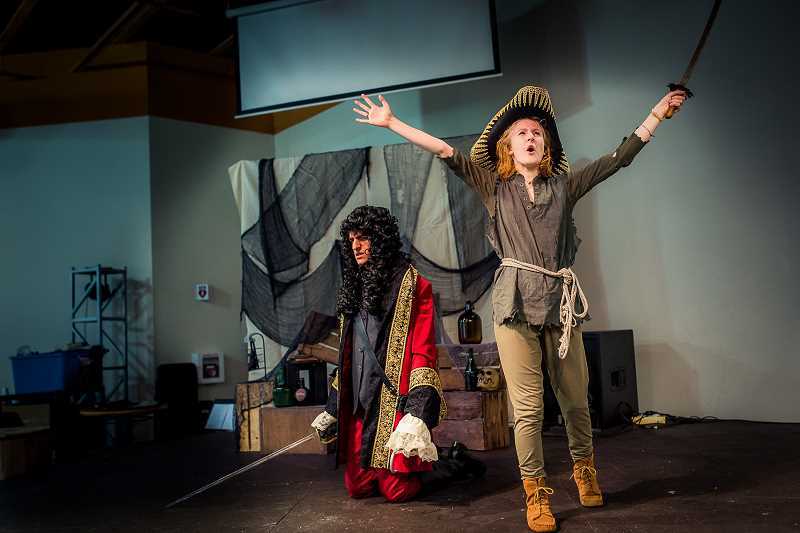 Though versions differ, "Peter Pan" is a coming of age story about a boy who flies to Neverland to embark on various adventures including a climactic battle with Captain Hook. 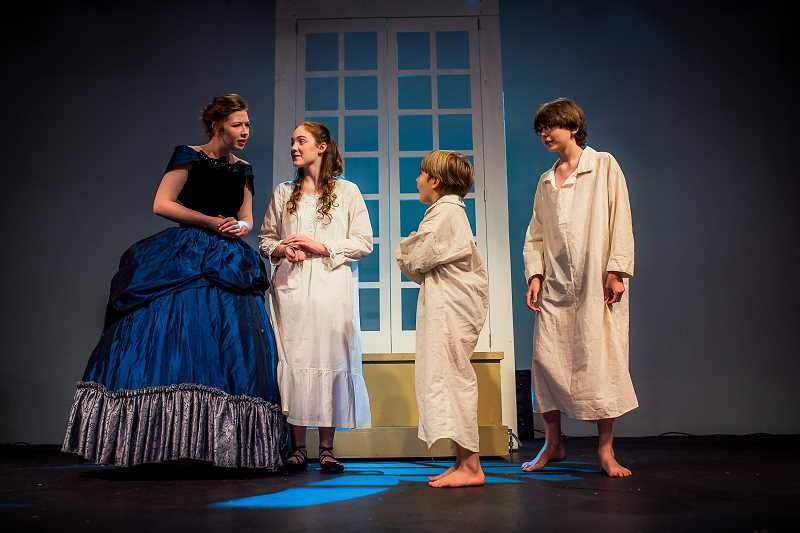 During the script writing process, Johnson found that people probably wouldn't understand a lot of the early 20th century dialogue in "Peter and Wendy." "A lot of the language from 100 years ago is completely different than how we talk now, " Johnson said. "We changed the dialogue so people today could understand it." Johnson also drew inspiration from the movie "Hook," which dives into the origins of Captain Hook's rift with Peter Pan as well as elements from the "Peter Pan" movie. "Mixing those films together and putting it on a stage, I don't think someone has done that before," Johnson said. "In a film you're just watching them and only getting emotions by what you see. When you read the book the author often takes you into their mind and thoughts," Nix said. Sequoia Boom enjoyed watching the movie "Peter Pan" growing up and connected with the adventurous spirit of the film. So Boom tried out for the role of Peter Pan and earned the part. "When the auditions first came out I thought to myself, 'This is a cool opportunity. I'm going to shoot for Peter.' He's always been my favorite character in Peter Pan," Boom said. 'It's a bit of a challenge teaching students how to properly handle a sword in a safe way but also that looks exciting to the audience," Johnson said. "We're going miles beyond what we normally do on the technical side," Johnson said. "There's good humor, a lot of fun friendships you can see on stage, a lot of cool fighting, cool effects, and it's just a fun play to see," she said. "It can get emotional and it has a little bit of everything. It should be fun for all ages."